Note: I have moved to Northeastern University. Cristina Nita-Rotaru is an Adjunct Professor in the Department of Computer Science at Purdue University where she established the Dependable and Secure Distributed Systems Laboratory (DS^2) and is a member of the Center for Education and Research in Information Assurance and Security (CERIAS). Her research lies at the intersection of information security, distributed systems, and computer networks. The overarching goal of her work is designing and building practical distributed systems and network protocols that are robust to failures and attacks while coping with the resource constraints existent in computing systems and networks. Cristina Nita-Rotaru is a recipient of the NSF Career Award in 2006. She is also a recipient of the Purdue Teaching for Tomorrow Award in 2007, Purdue Excellence in Research Award, Seeds for Success in 2012, Purdue College of Science Research Award in 2013. She has served on the Technical Program Committee of numerous conferences in security, networking and distributed systems (IEEE S&P, USENIX Security, ACM CCS, NDSS, ACM Wisec, IEEE ICDCS, IEEE/IFIP DSN, ACM SIGCOMM, ACM CoNEXT, IEEE INFOCOM, IEEE ICNP, WWW). She served as an Assistant Director for CERIAS (2011 - 2013). She is a member of the steering committee of ACM Wisec, the chair of the steering committee of NPSec, and a member of the IFIP Working Group on Dependable Computing and Fault-tolerance. She was an Associate Editor for Elsevier Computer Communications (2008 - 2011), IEEE Transactions on Computers (2011 - 2014), ACM Transactions on Information Systems Security (2009 - 2013), and Computer Networks (2012 - 2014). She is currently an Associate Editor for IEEE Transactions on Mobile Computing and IEEE Transactions on Dependable and Secure Systems. 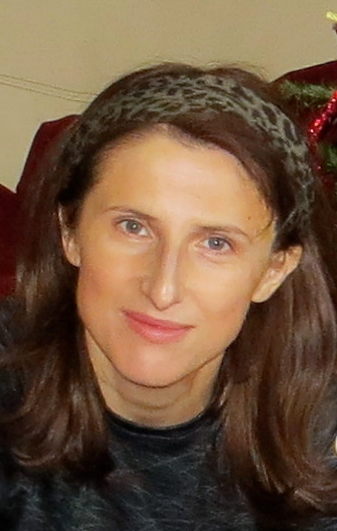 Cristina Nita-Rotaru holds a Ph.D in Computer Science from Johns Hopkins University and a MS from Politehnica University of Bucharest, Romania. She was born and grew up in Bucharest, Romania. She is an alumnus of ``Colegiul National Sfantul Sava''.